Search For "E-Commerce & IT Outsourcing" Companies in Honolulu, Hawaii - Click Here Now! Founded In 2003, LifeVantage Corporation (OTCBB:LFVN) Is A Publicly Traded Network Marketing Company That Enhances Life Through Anti-aging Products And Creates Business Opportunities For All People. LifeVantage Manufactures And Markets Only True Products—products Backed By Facts, Products Proven By True Science. Protandim, The Centerpiece Product, Is The Only Product Clinically Proven To Reduce The Effects Of Oxidative Stress. LifeVantage Is A Place You Can Truly Belong And Provides A Well-anchored Platform For Optimistic People To Move Forward With True Opportunity. 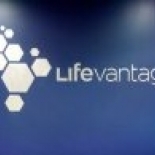 LifeVantage Is A Family Composed Of Hopeful, Honest, Entrepreneurial People From All Walks Of Life Who Stand Together. Finding A Way To Live Comfortably Without Stressing About How Ends Will Meet Each Month Is Only One Of Life’s Struggles. What Many Seek Is A Vehicle That Allows Them To Enjoy Providing For Their Families, To Share With Others, And To Be True To The Values And Desires That Define Their Hearts. At LifeVantage That’s What We Call True Opportunity And That’s What We Want To Share. Ron Mills in Honolulu is a company that specializes in Computer Related Services, Nec. Our records show it was established in Hawaii.